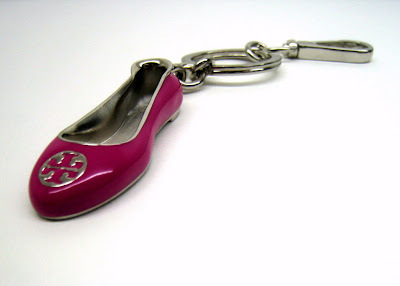 tory burch always has the best promos! get this super cute reva key fob free! 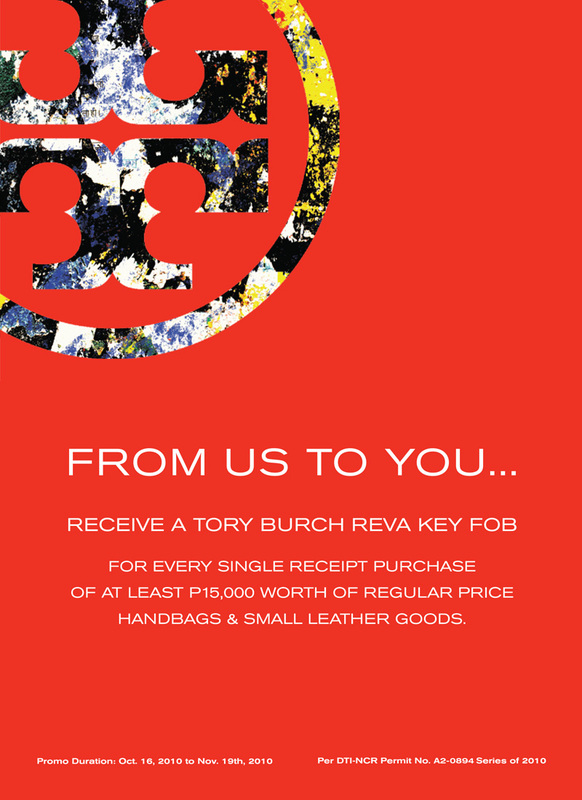 but of course you first have to buy P15,000 worth of regular-priced handbags and/or small leather goods in a single receipt. unfortunately, as much as we love tory's stuff, we can't afford them at regular price. we only shop there during sale periods. 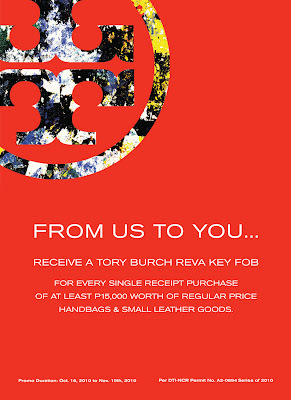 the rest of the year, we just drop in and drool... promo is ongoing till november 19, 2010. tory burch is located at greenbelt 5.